It looks like foreign investors have given up on the UK, unable to separate individual company prospects from Brexit risks. Domestic investors seem to have taken profits from some of the big winners of recent years, concerned about imminent recession. But there is still value in many UK stocks, and potential for negative sentiment on the UK and the pound to reverse. Investors need, however, to be more aware of ratings and cash generation. In a tightening credit environment, it may be hard to raise more capital. But interest is likely to return to cash generative businesses with strong balance sheets. Domestically oriented businesses, in particular, could benefit if the UK sees more real wage growth. Runaway inflation still looks unlikely, but the UK is experiencing enough wage inflation to boost consumer confidence. Once more clarity emerges on Brexit, investors may recognise the UK’s attractions. The last 12 months have been tough for most UK and European airlines. Brexit, higher oil prices and other cost increases have hit even the best managed airlines. But this disruption is itself bringing some price discipline, accelerated by the disappearance of weaker names. This consolidation is also starting to deliver pricing discipline. There remains some overcapacity, but 2019 should bring more flexibility to pass on oil prices. Traditionally, airports have favoured the flag-carrying older airlines, but the growing importance of airport retailing puts a premium on passenger numbers. Low cost airlines capable of delivering high passenger numbers to airports should benefit. Legacy systems and culture are an ongoing drag on the flag-carriers. If oil prices remain firm, the most efficient operators should survive, and eventually benefit from the tightening of capacity. Sector problems are driving structural change, which favours more nimble and efficient low cost operators. 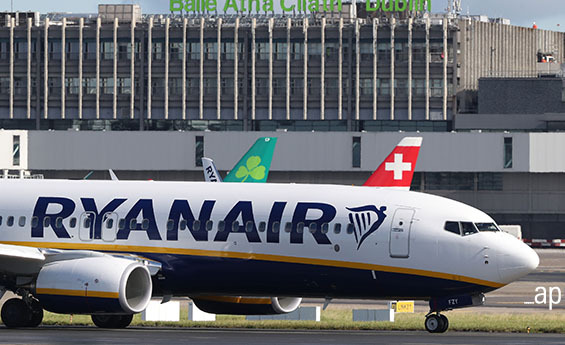 Ryanair has realised that it can leverage its brand and scale by making better use of customer data. This should allow a broader travel offering, providing car rental and booking of accommodation. Ryanair’s brash style and apparent indifference to customer care gives it a bad press. But investors should focus on sector restructuring and competitive advantage. UK property has been under a cloud as investors became concerned about Brexit. The prospect of higher interest rates raising borrowing costs did not help. And, in the specialist sector of student accommodation, there was additional concern about the risk that European student numbers coming to the UK for education would drop. Now, the position is becoming clearer. The shake-out seems likely to benefit universities with the strongest reputations, at the expense of newer universities. Students now demand a good overall experience, and accommodation is key to this. Universities need to work in close partnership with successful providers of student accommodation to enhance the experience and operate efficiently. Listed companies in this sector include Unite and Watkin Jones. Watkin Jones’ business model involves selling-on property to investing institutions and managing student property. The group is also betting that some of its skills can be put to work in private rented accommodation, building and managing flats for young people. The challenge over the next few years may be tighter credit conditions and economic slowdown. In that environment, cash generative businesses, with a well-defined business model and operating in a niche may find favour. Investors are rediscovering the attractions of consumer staples, against a background of concern about the valuation and outlook for high growth businesses. But the rotation into more resilient, less economically sensitive businesses, has to-date mainly focused on big global “quality” stocks. These have moved to high ratings, but some mid-cap businesses in the defensive growth category have been left behind. Many of these are not cheap but operate in niches with better growth prospects than the biggest multi-nationals that tend to have more emerging market risks. These mid-cap food and drink businesses may look dull, but many have innovative business models and are developing new products and services. Kerry Group, for example, is the world’s largest player in the specialist provision of ingredients and flavours and has made a number of strategic acquisitions internationally. Continued reformulation of ingredients and re-engineering of recipes has supported a 20-year track record of growth. Consumer tastes are changing; health and wellness trends are driving a demand for a clean label, organic and free-from characteristics in their food. In a slowing global economy, investors may rediscover growth in more mundane areas. The views contained herein are those of the author(s) and not necessarily those of Morningstar.